A Keson best seller! 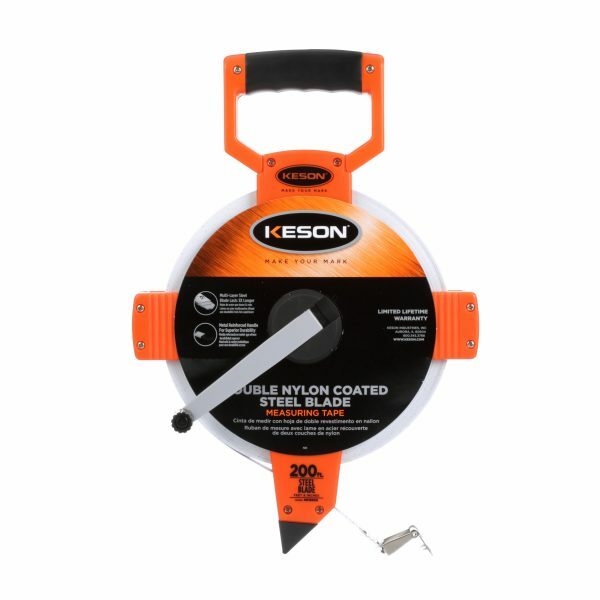 Since 1968 this style of Keson steel tape has been providing customers with accurate measurements. 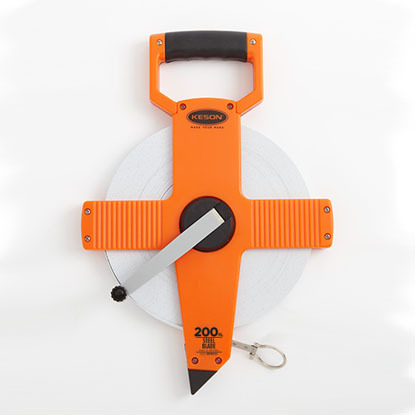 They are used in the harshest conditions in which people measure, and they stand to the only test that matters: field performance. Better plastic and molding shapes for increased durability. Double screws to hold the housing together in the event of a drop. Better blade axle to reduce breakage due to the weight of the tape if dropped. For years we’ve been honoring warranty dates long past a single year, so we are now proud to offer a limited lifetime warranty on these products. 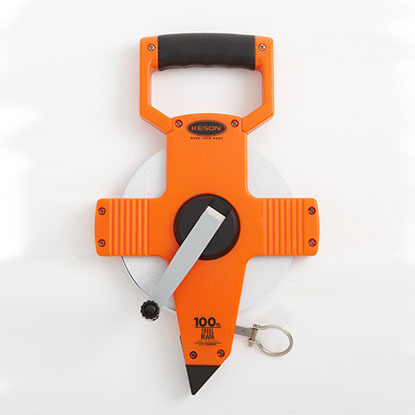 Tough, double nylon-coated steel blades. Break-resistant under severe use in the field. 3/8-inch wide blade reduces wind drift and tape weight. Metal-reinforce crank handle for durability.